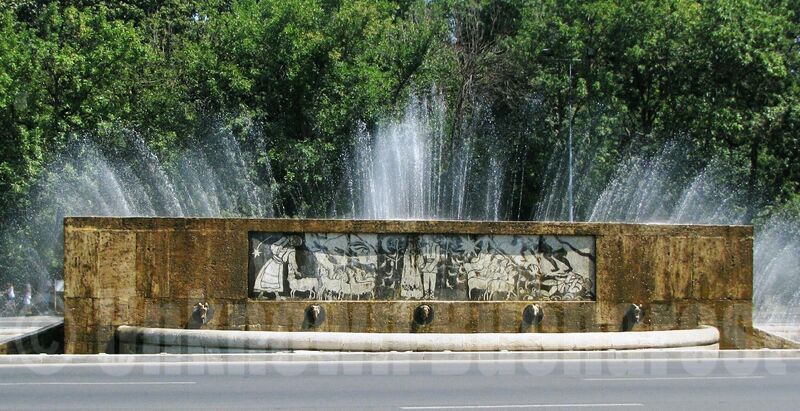 One of the most remarkable art monuments in Bucharest is the “Miorita fountain”, which greets the visitor at the northern entrance to the city. 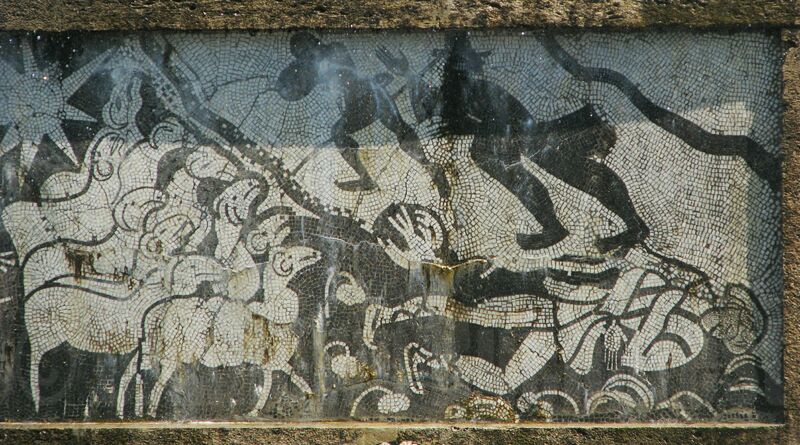 The mosaics set in stone evoke the beautiful Romanian popular ballad “Miorita” (“The little ewe”). The graceful black and white mosaics, work of the Romanian avantgarde artist Milita Petrascu, are also a wonderful example of the Art Deco style. “Miorita” is the Romanian national myth-ballad and presents a specific vision of life and death. For a customized private tour to include Miorita Fountain and other emblematic Bucharest sights and landmarks, please contact me.